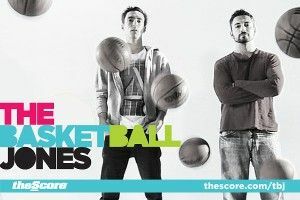 Join The Basketball Jones on the sonic journey that is The Overdose! On today’s show, we attempt to pick our 2012 NBA All-Star Reserves. Is Paul Millsap a lock? Do you go with Tony Parker or Kyle Lowry? And who in hell do you pick in the East? All that, plus NBA Yearbook Awards, Leigh’s “Tweet of the Weak,” Bill Simmons’ concept of NBA “chemists,” a rough round of “The Pun-Gun Game,” Super Bowl predictions, Kobe vs. LeBron, and more.